These small birds are one of the most common waders in Australia, migrating here from their breeding grounds in the tundra of northern Asia. 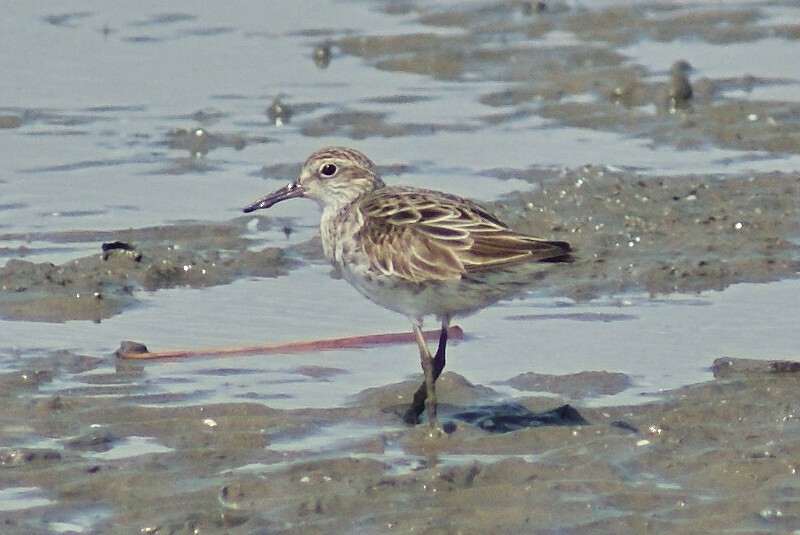 They are small waders at 17-22 cm and can occur not only in coastal areas, but inland as well. As with other short-billed waders, they rely on their sight to find prey (rather than probing in mud or sand) and mainly consume insects and other small creatures. 1: Cairns Esplanade, Qld, 13/10/2011.